The RAZR is one beautiful piece of gadgetry so you’re probably looking for something that either adds to, or at least doesn’t take away from, the style that the phone has. You won’t find any gimmicky options here, and I promise there is not a bit of bling in sight. 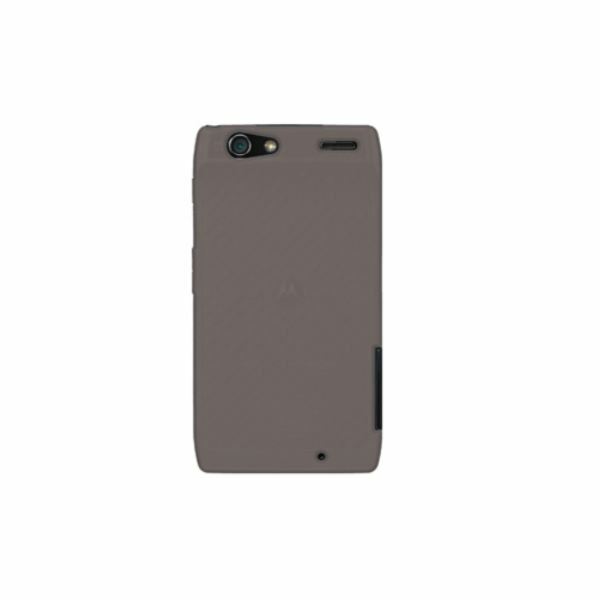 What these Droid RAZR cases do well is to protect your phone and look good at the same time. Bear in mind what kind of use your phone is going to get, and what kind of activities you participate in before choosing one of our top five options. We’ve included cases for the usual everyday wear and tear, to more rugged designs for top-notch protection. 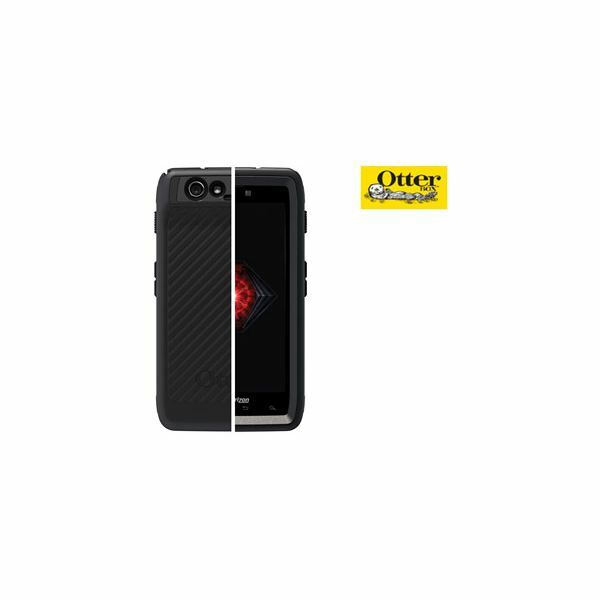 Otterbox is such a reassuring name in mobile phone cases that it’s really hard to resist one of their models. It’s true to say that you pay for this branding, but you are also getting a whole lot of quality too. There are a few different options within the Otterbox range, but I’ve chosen the Defender option here as no case is tougher so it’s absolutely perfect if you are accident prone or are likely to subject your phone to rough and tough situations. 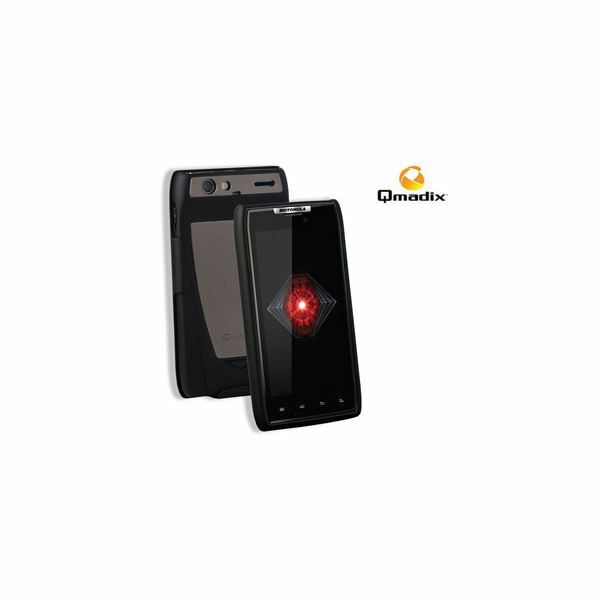 There are three layers of protection that act in different ways to protect your Droid RAZR from bumps, drops, shocks, scrapes — you name it, whatever you throw at this bad boy it can take it. It fits superbly around the phone, leaving all ports and buttons accessible, and considering the protection it offers, this case doesn’t add much in the way of bulk either. 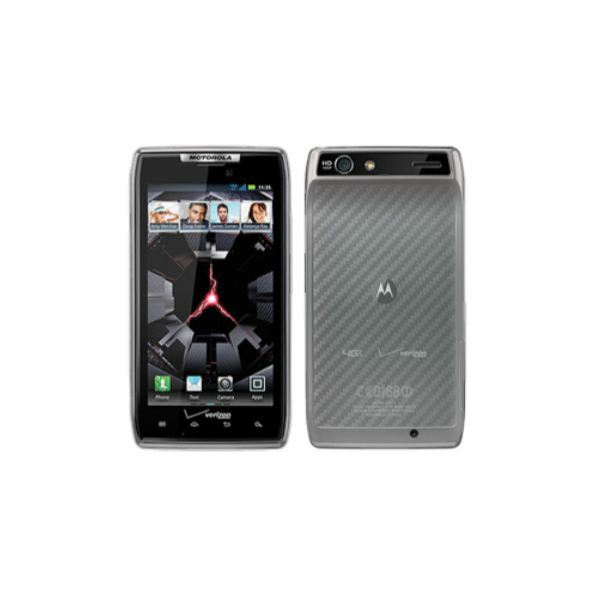 The look is a little rugged, but overall blends in with the RAZR nicely. If you want a solution to your protection needs that is lightweight and unobtrusive then Amzer’s Clear Snap-On case is just the job. 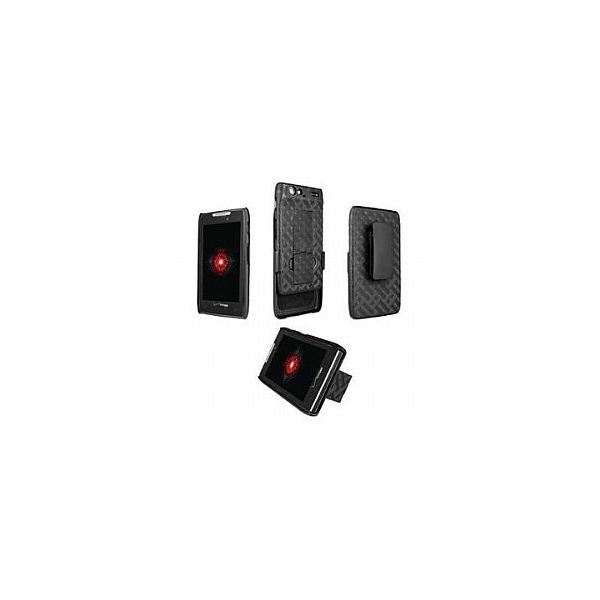 It won’t stand up to as much punishment as the Otterbox, but for most of us this is a great all-round option to protect from the usual accidental drops and knocks. The great thing about it is that no other case will let the looks of the phone shine through quite as well as this case (it being clear and all), and it’s really easy to put on too — snap! And don’t worry, as although it’s a snap-on case there is a bit of give in it so you can use it quite easily without worrying about it breaking. One small negative point is that the “crystal” smooth aspect to this case means that it can be a bit slippy in your hands on occasions, but this is a small complaint. Despite the budget price this is a great case for keeping your RAZR snug and protected. The Qmadix is a really sleek choice, with the added functionality of a holster, should you be so inclined, but the good thing here is that the holster doesn’t get in the way if you don’t want to use it either. In fact you get two parts with this case — the holster is like a sleeve that you can slip over the top of the main case should you need to, which is pretty neat. Overall, the design is really nice. So how about the performance? With a form-fitting case like this one of course it has the usual cut-outs so you can use your phone unencumbered, and it is resistant to most impacts, although this isn’t a heavy-duty option. There is a slight lip around the edge, so face down on a flat surface your screen is still protected, and the finish is quite nice and grippy, meaning it’s a nice case to hold too. The holster sleeve takes a little something away from the nice black and gray design on the back of the case, but that’s the only complaint I can raise. Soft silicone cases are a great choice for most of us as they are inexpensive, nice to hold, and offer good protection should the phone be dropped. Being so flexible not only means a great fit, but that it’s super easy to get on too. This Amzer model is specifically made for the RAZR so you can still use the camera, access the screen, and all buttons and ports without removing the case. Should you wish to take the case off at any point though this is easily done and doesn’t mean that the material gets stretched out of shape. Despite its soft and squidgy form, this is no slouch in the protection department and is very durable, so should last you as long as you have the phone. For the fashionistas among you there are a multitude of colors available too. This offering from Verizon is really quite a striking option to look at, which means that it won’t be popular with everyone, but overall the design creates a good impression. It’s a shell and holster combination so you can either leave the shell on as it is, or you can attach the holster with ease, to clip to a belt, or just to make sure it’s safely stowed inside a bag or pocket. The finish is quite interesting, in that it’s a textured herringbone pattern, designed presumably to add a bit of grip, but it’s not hugely appealing to look at. On the front you don’t have that to worry about though so you won’t really see it, and I guess that if it’s offering extra grip that’s nothing to be sniffed at. A nice little feature that this case does have though is that there is the option to flick out a little kickstand at the back, so you can make full use of that screen’s real estate to watch a movie on your phone without having to hold it the whole time — works well as a nightstand clock too. The case is really slim, which is good news, but offers no more than regular day to day wear and protection; if you are clumsy or outdoorsy you might be better choosing one of our other options.